Description: Vibhaa Technologies enjoys facing and overcoming IT challenges. We approach a challenge in logical and organized way. What would you do if a popular news web portal is about to crash due to a technical breakdown? 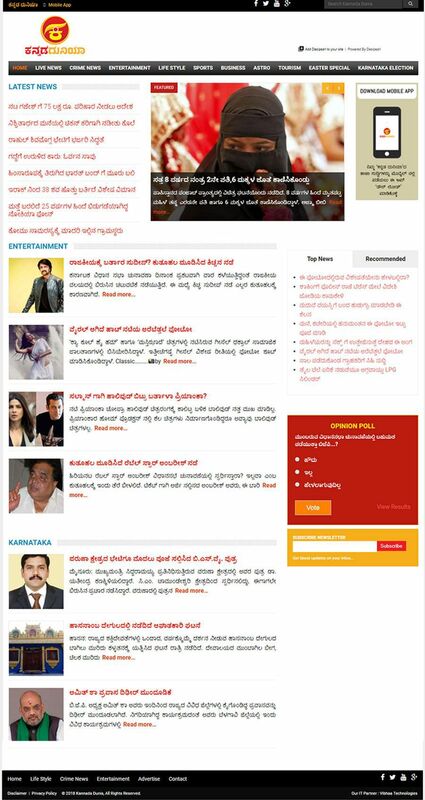 Kannadadunia.com (a popular online regional news portal) approached us when it was hit by a technical breakdown due to the usage of outdated technology, resulting in the failure of maintaining huge traffic and large number of posts. It was vulnerable due to successive hacking attempts. We instantly fixed the running website and at the same time, we designed a new website utilizing advanced technologies such as cloud server setup, secured servers and others. The website has been running smoothly and attracting more traffic ever since.